The labyrinth is an ancient symbol that relates to wholeness. Labyrinths have been found in all cultures and religions. They combine the imagery of the circle and the spiral into a meandering but purposeful path representing a journey to our own center and back again out into the world. Labyrinths have long been used as meditation and prayer tools. At its most basic level the labyrinth is a metaphor for the journey to the center of your deepest self and back out into the world with a broadened understanding of who you are. A labyrinth is not a maze. There is only one path in and you return by the same path. Since you don't have to engage your logical left brain your creative right brain is set free. People often take a thought or problem with them on this journey. You might be surprised by the result. 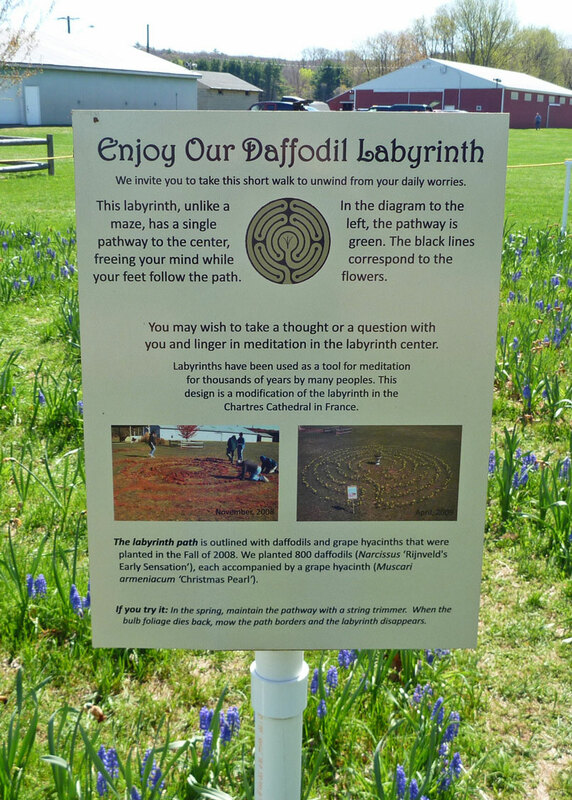 There are labyrinths scattered across Connecticut - inside and outside churches, at retreat centers, and on private land. They are constructed from anything from grass to gravel to paving stones to flowers. 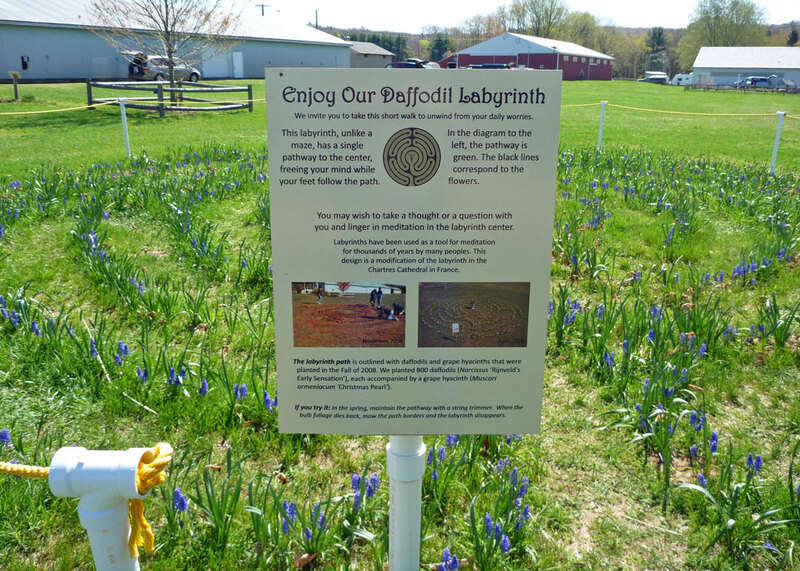 There are 51 registered labyrinths in Connecticut. You can locate them here. 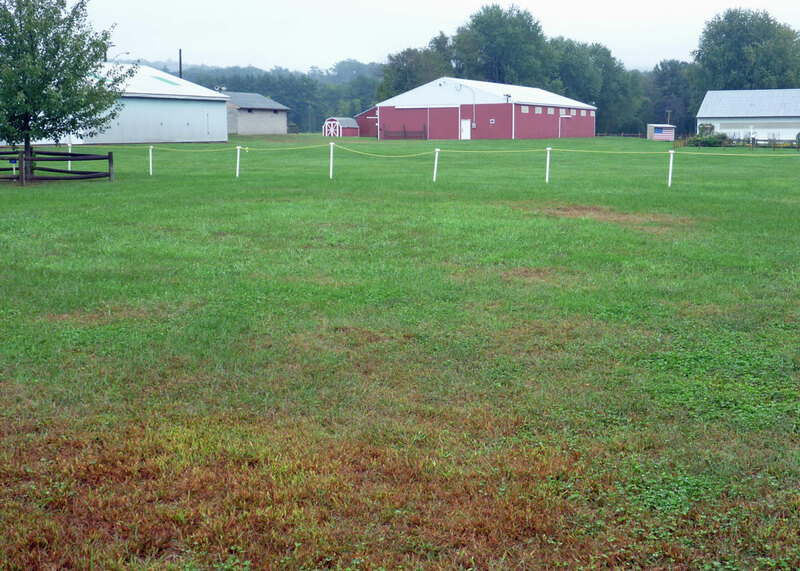 The only labyrinth (that I have found so far) in the Tankerhoosen Valley is located at the Tolland County Agricultural Center (TAC) on Route 30 near the Tolland-Vernon line. 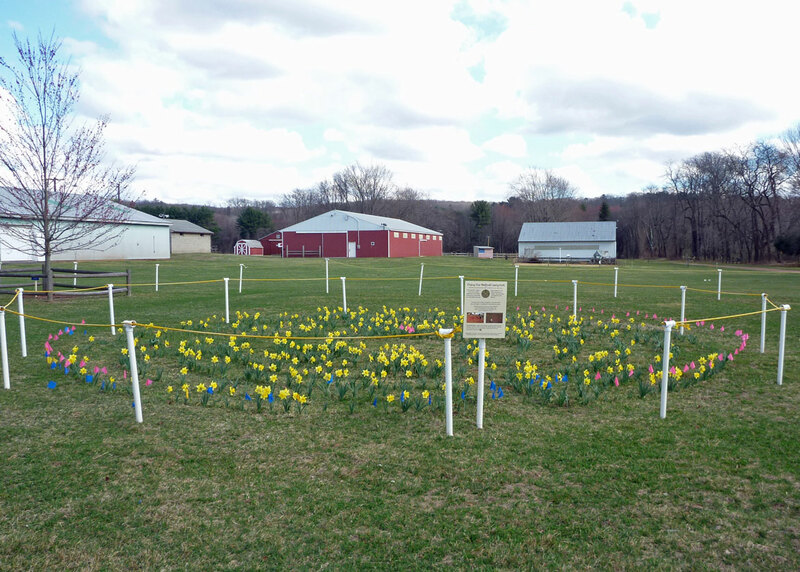 It is very unusual because it is seasonal - a spring labyrinth made from flowers. 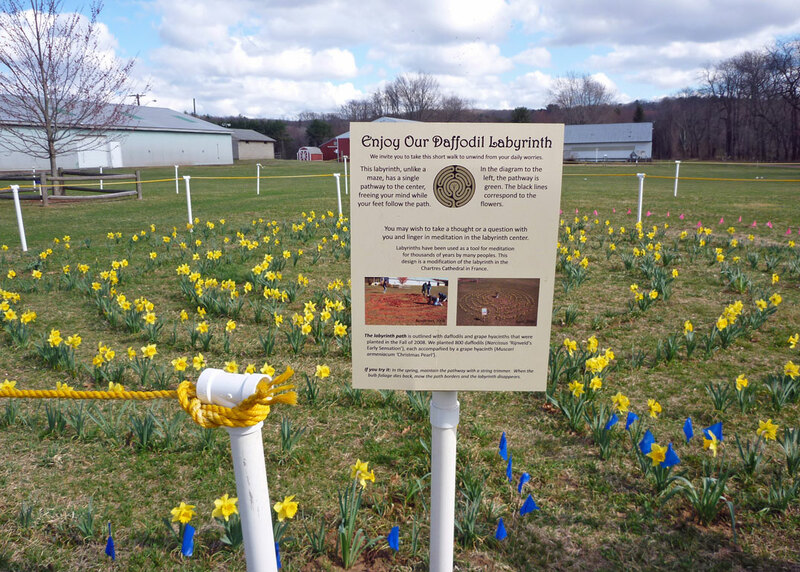 When the yellow daffodils of spring appear in late March so does the labyrinth. 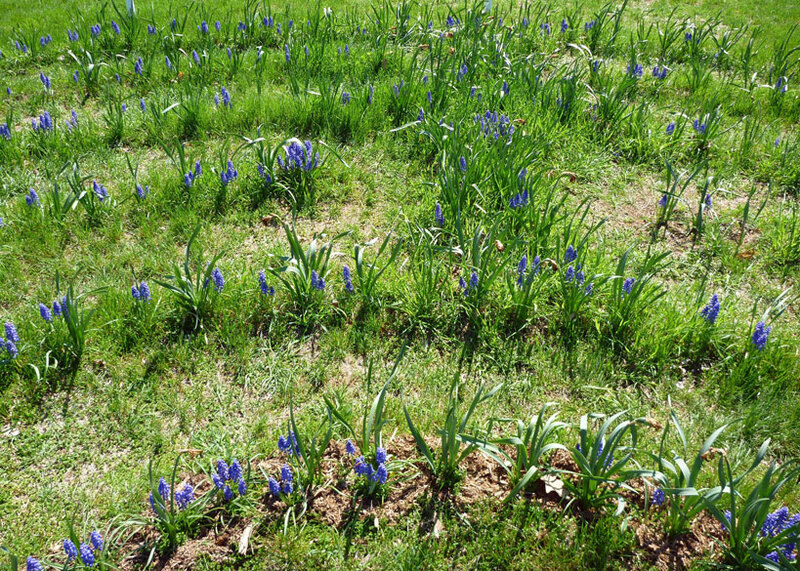 As the daffodils fade in April violet grape hyacinths appear to hold the pattern into May. As summer arrives the labyrinth is mowed and vanishes until the following spring. 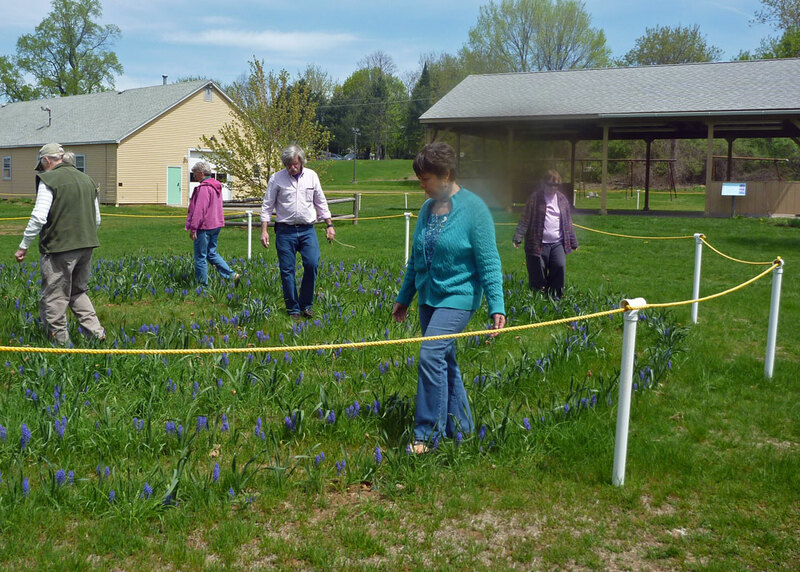 This labyrinth was planted in the Fall of 2008 with 800 daffodils, each accompanied by a grape hyacinth. Click on photos to see full size image. » Learn more about labyrinths.